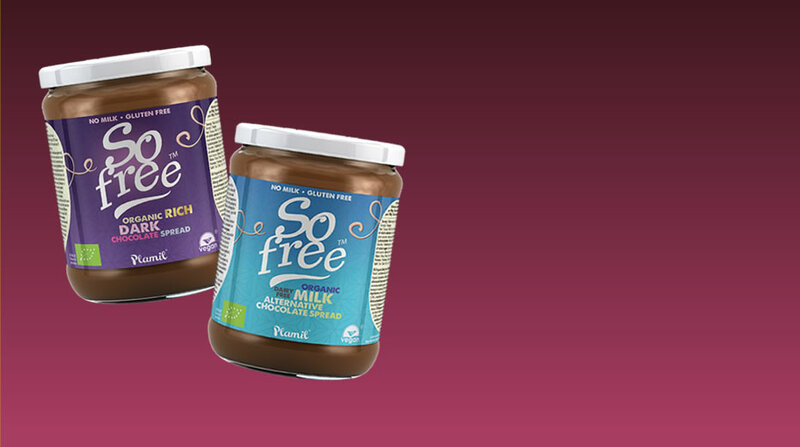 These premium organic chocolate spreads are made without hydrogenated fats and are ideal for sandwiches, toast or baking. No milk. Gluten free. Chocolate spreads perfect for everyone! 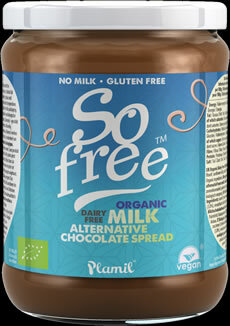 So free organic dark chocolate spread is smooth and rich. 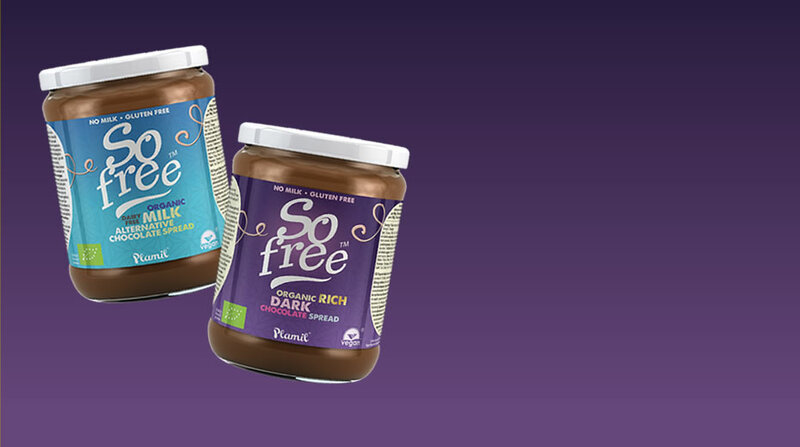 The alternative to milk chocolate spread is light and moreish - perfect for everyday use. 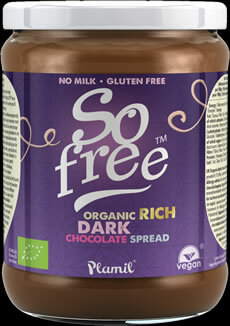 Plamil Foods make So free organic chocolate spreads, which haves been created to be enjoyed. Certified organic. No milk, no nuts and gluten free, vegan. 100% plant power. Certified organic. Ethically made by Plamil with renewable energy.